After breakfast, you will be informed about the cruise itinerary and the gulet. Then we will cruise to Kos Island.Kos Island is really well worth visiting. Kos is the island that gave the world Hippocrates, the father of medicine. The third largest island of the Dodecanese, it is a very green island with an excellent infrastructure and large roads lined up with palm trees. During your visit to Kos Island, you must certainly visit the ancient ruins of the city that are numerous and remarkable, the ruins of ‘Asklipios”, the ‘Castle of the Knights’and the huge tree of Hippocrates (trunk diameter is 11,5 meters!). On Kos you will find some of the finest beaches in the Dodecanese islands of Greece. With many archaeological sites in and around the town, Kos is the ideal place for walking or cycling. Dinner and overnight stay at Kos Island. The island is a popular destination for tourists who arrive from Kos or Kalymnos on small excursion boats or pirate-type tourist ships that arrive daily throughout the summer. Pserimos is a good day out for those wishing to avoid organised beaches of Kos or Kalymnos but the beach, though large, can get crowded once all the day trip boats arrive. The beach is wide, deep, very sandy with shallow waters well sheltered in the deep bay and lined with beachside tavernas and cafes that catch the daily trade. There is a small harbour for boat mooring. There’s not much to see beside the single sandy beach though tracks lead over the rocky treeless hills to small coves. Then we will cruise to Ada Leros Island. Leros is an island with a very healthy climate ideal for a quiet holiday. Evergreen, with many inviting coves and beautiful sandy beaches, Leros relaxes the visitor with its tranquil landscape. Not very touristy, the main port of Lakki is one of the best examples of Art Deco architecture in Greece. It was designed by Mussolini’s architects in 1923 and although in defiance of the dictator’s wishes, the capital was subsequently moved above the village of Platanos. The rest of the island is green with stunning beaches and large bays. Leros is the ideal home base for sailing trips to the coast of Turkey and the other Dodecanese islands. Dinner and overnight stay at Leros Island. We will cruise to Patmos Island early in the morning. Known as the Jerusalem of the Aegean, Patmos island is the holy island of Christians, where the Apocalypse of St. John was written. Visitors of this Dodecanese island today are split into two groups, the first half that still come to the island because of its religious significance and the second half comes here to enjoy the lovely beaches, the serenity and the unique character of the island and its people. Patmos is a quiet island at night, but a busy stop by day for the many cruise ships that have made it a port of call. Patmos is a spectacular island with great beaches and a unique landscape, an island where tourism until recently was low-key but has been growing steadily. Don’t miss the unique Easter celebrations (Greek Orthodox Easter) where you will have the chance to see a staging of Christ’s Last Supper. Also, take an evening stroll through the narrow streets of Hora or Chora and watch the sunset from Kastelli hill. Dinner and overnight stay at Patmos Island. We will cruise to Lipsi Island early in the morning.Lipsi is a tiny island covered with white washed houses and little churches with blue domes. It is an island where cars are almost non-existent and where most of the local life takes place at the island’s port. Lipsi is a very beautiful and authentic island of the Dodecanese where during the day you can watch the fishermen beat octopuses on the quays that will be served later that night in one of the many cafes set on the tiny port. Dinner and overnight stay at Lipsi Island. Also, most of the beaches of Kalymnos are equipped with water sport facilities. The wonderful sunsets over the tiny island Telendos are not to be missed – they are on par with those of Santorini! Dinner and overnight stay at Kalimnos Island. We will cruise back to Turkey via Turgutreis. We will have a swimming stop at Karaincir on the way back to Bodrum. Karaincir is a 500 metre stretch of soft golden sand which is great for all the family. The tranquil blue water is invitingly calm, and also offers a number of watersports from banana boats to pedaloes. You can also soak up the relaxed ambience around the beach from one of the many sun loungers made available, whilst sipping on a refreshing drink from one of the venders. Then our boat will cruise back to Bodrum Port for the last day’s dinner and an overnight stay. Are Gulet Cruise Vacations Your Holiday Style? There are major differences in taking vacations on land or at sea. The accommodation styles and holiday concepts are quite distinctive. While many people are used to hotel accommodation, trying out something different such as a gulet cruise can give a whole new meaning to your holiday experience. If you are about to be a new gulet vacationer, the information below may give you a better perspective on what to expect on a gulet charter. Needless to say, all gulet charter experiences will not be the same for everyone, with the following information we just want to give a general idea and outline the basics for your convenience. Hotel rooms are built according to building standards just like the gulet cabins being built according to their size and standards. Like any building, you will have more head space to stand up in your hotel room than you would in your gulet cabin, and this will only affect you if you are very tall, therefore expect a reduction in ceiling height. Hotel rooms can offer a larger occupancy area than some gulet cabins. This will depend on the gulet you have rented. However, there are also some VIP or High Deluxe gulet cabins larger than hotel rooms. Gulets are categorized as motorsailers. This means that the gulets not only sail but also may use their engines for cruising. They are by no means a sailing vessel alone. Sailing takes time from one destination to another. 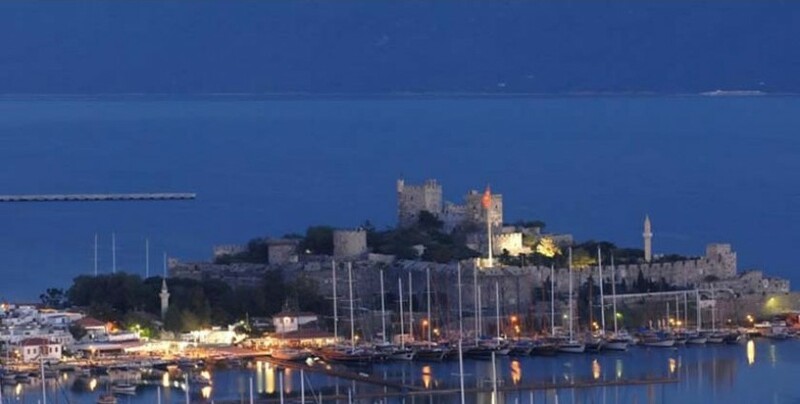 Hypothetically if you are on a one week holiday and will be travelling from Rhodes to Fethiye, with all the stops in between, there is no way that just by sailing you will be able to take time and enjoy your vacation and also cover that distance. Generally on itineraries that are arranged for a week, the sails on gulets are anywhere between 1 to 3 times. Marmaris is one of the most preffered routes in blue cruise. It is preffered by those who would like to embrace pure nature and sea. Moreover, these tours offers natural beauties which only seen by sea way. It is also able to see historical buildings.